‘Holiday! Celebrate!’, Madonna once urged, but as the summer break looms often there’s less celebrating and more sheer blind panicking about having nothing to wear. Argh! Don’t know where to start? 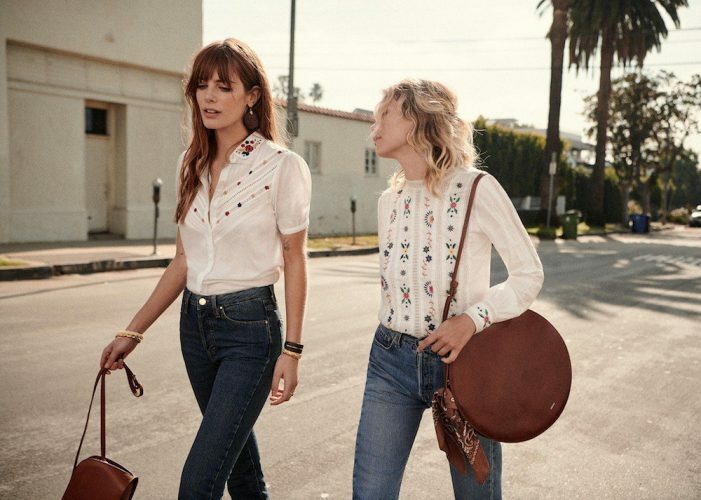 Worry not – Muddy’s fashion whizz Kerry Potter has curated the essential summer pieces for us all, from beachwear to summer dresses to the coolest straw hat around. Best make space in that suitcase – you’re gonna need it. 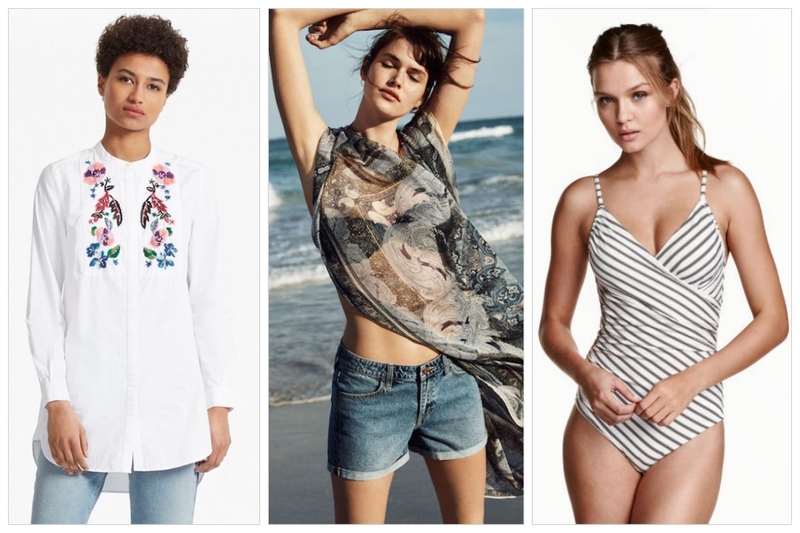 (Above from left) I love a white shirt as a beach cover up – much more modern than a sarong. This embroidered tunic from French Connection (£85) is just the ticket to chuck over your bikini at lunch time. And the prize for the most flattering swimsuit ever goes to…H&M for this little gem (£24.99). Note the clever use of angled stripes to gently sculpt, plus the ruching across the tummy. Good work. Summer wouldn’t be summer without denim cut-offs. Bit scared of whipping out your thighs? Head to H&M, which has a vast selection including these, a snip at £8.99. Approach this as you would buying jeans – try on loads of pairs until you find the ones that work for you. H&M have longer-line versions, as well as black, pink and white versions. 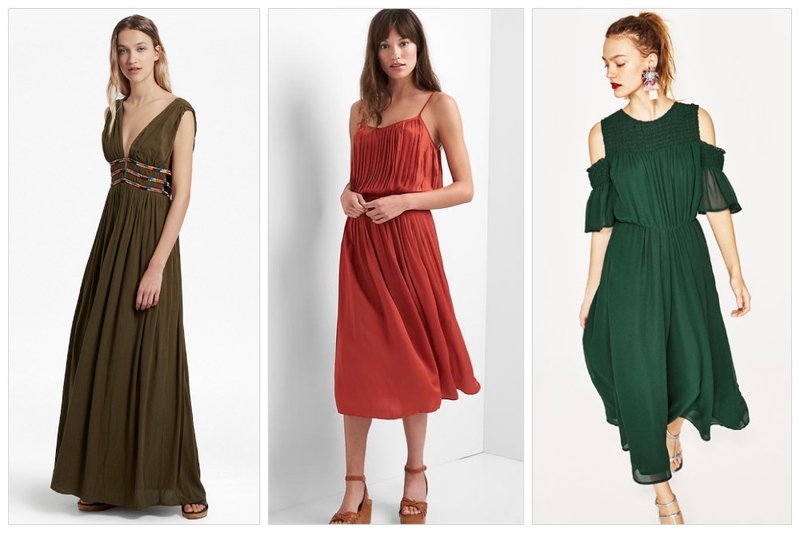 (Above from left) There’s loads of Timotei ad-style pretty white sundresses around this season. Go full ‘summer’ with tan sandals or toughen it up with a black biker jacket and ankle boots on cooler days. This Gap one (£59.99) comes in petite and tall sizes, as well as regular, and you can also nab it in black if you have children with mucky hands/ spend a lot of time sitting on grubby train seats. 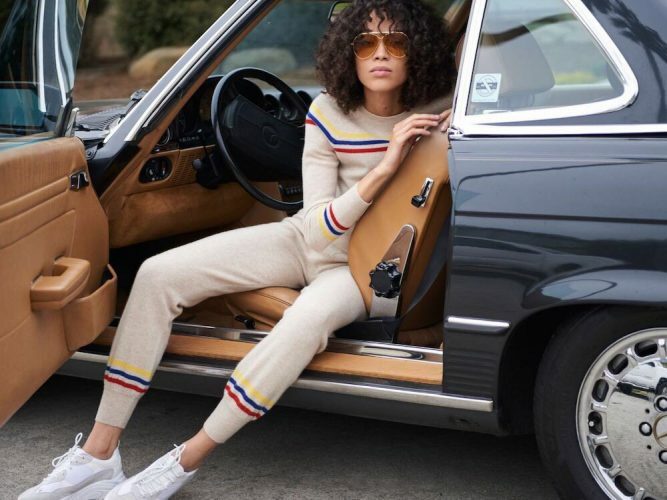 Jumpsuits have evolved from strictly evening wear to a great daytime option too. 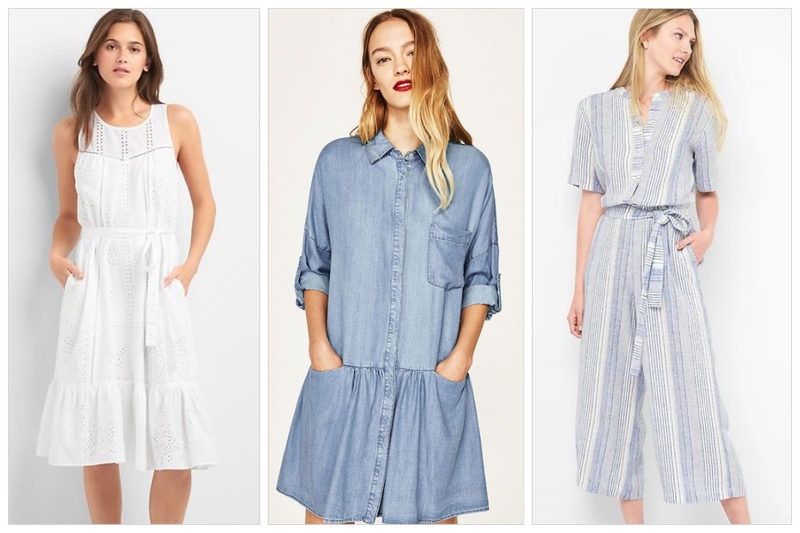 This blue and white striped linen one from Gap (£54.99) is as versatile as it is summery, working as well with smart wedge sandals as it would with Birkenstocks. (Above from left) Fancy-pants evening bash this summer? This French Connection beaded maxi dress (£180) has got wow factor. In the colour of the season, khaki, it’d look chic with lashing of gold jewellery and metallic sandals. Gap isn’t just all denim and khakis, you know – check out with slinky, silky dress (£64.95) which would be perfect for holiday nights out. I love its chic midi length and the burnt orange shade, although it also comes in blue, green and pale pink. Chuck a denim jacket over the top and hello Aperol spritz at sunset. 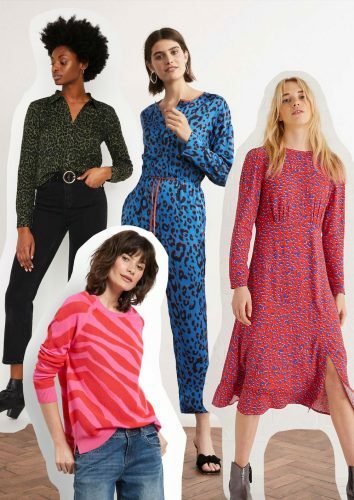 Can you squeeze another jumpsuit into your suitcase? Course you can. This gorgeous wafty emerald green Zara one (£59.99) caught my eye. Note the cut-out arms – a nod to the cold-shoulder trend – but done in a way so that you can still wear a bra, phew! 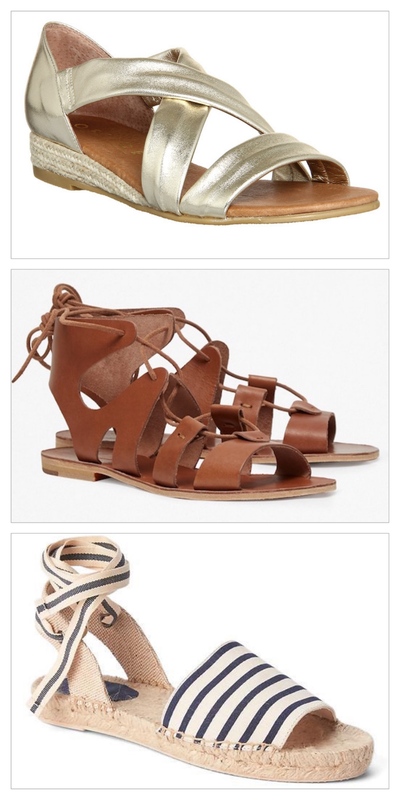 (Above from left) It annoys me that summer sandals either come flat as a panic or with teetering heels, with nothing in-between. This Office Haillie style (£48), however, has a brilliant mini-wedge heel, ideal for pavement-pounding. They come in 12 different colours too. How pleasing that you can now get your Breton stripe fix on shoes. These cute Gap espadrilles (£39.99) would look the business with denim or white. The Gladiator sandal has become a stone-cold summer classic. These tan ones from French Connection don’t come cheap at £100 but I bet you’ll wear them constantly. I like the chic leather insole and the fact that they’re backless at the heel to banish blisters. 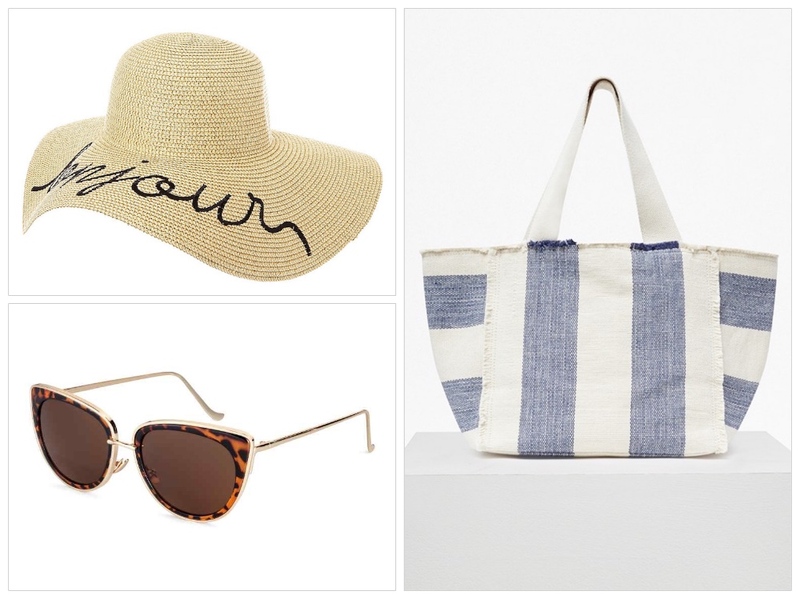 (Above from left) This French Connection cotton beach bag (£55), with its faded stripes and frayed edges, couldn’t be more summery if it tried. Plus you can chuck everything but the kitchen sink in there. Claire’s isn’t just for teenage girls, doncha know. This quirky straw ‘Bonjour’ sun hat is a total steal at £20 and will endear you to the locals when you’re en vacances (possibly). I gave up buying fancy designer sunglasses after a 250 quid Tom Ford pair were pickpocketed from my bag. This season H&M have a great range of cheap-as chips-sunnies. 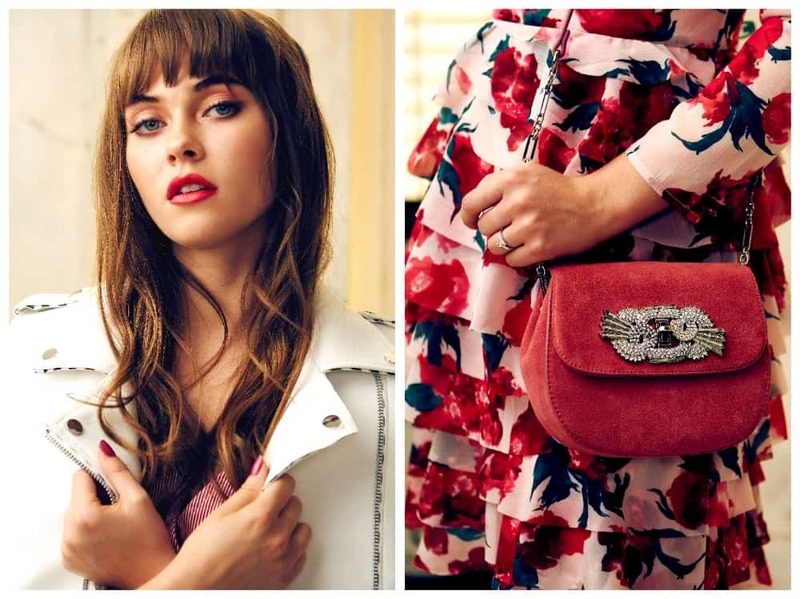 My favourites are these £12.99 ones that look loads more expensive, thanks to their classic styling – cats-eye lenses, tortoiseshell lenses, and chic gold arms.